Giving Tuesday is the Global Day of Giving – Will you #RAKtheday? Celebrated annually on the Tuesday following Thanksgiving, #GivingTuesday is a global day of giving fueled by international collaboration, social media connectivity and generosity. With Thanksgiving, Black Friday, Small Business Saturday and Cyber Monday behind us, the National Day of Giving kicks off the holiday season by encouraging people from around the world to give back. Since its inauguration in 2012, Giving Tuesday has become a movement that celebrates and supports the philanthropy of giving. In 2019, Americans were estimated to spend $90.1 billion on Black Friday and Cyber Monday shopping. Wouldn’t it be amazing if even a small portion of that spend could be given back to communities and people that truly need help? Here in Rochester, community members are encouraged to #ROCtheday. This social media movement encourages people throughout the greater Rochester area to give back to local non-profit organizations – which directly benefits their neighbors and community members. L-Tron has implemented our own movement – #RAKtheday. We are a company that believes in the power of small gestures and random acts of kindness. Do something small to spread kindness today and everyday. 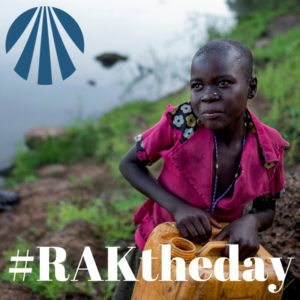 For the month of December, if you use the hashtag #RAKtheday on social media, L-Tron will donate $1 to support the World Concern clean water project. World Concern is an organization that helps people and villages in remote, drought prone areas – providing clean water, sanitation and hygiene training. Currently, World Concern has clean water project efforts in Chad, Haiti, Kenya, Laos, Myanmar, Somalia and Sri Lanka. At our L-Tron customer appreciation event on November 8th, we raised over $3,000 to support World Concern and provide clean water to developing areas. Our goal this holiday season is to raise $12,000 total, which will provide 8 clean water wells to some of the poorest regions of Africa. Watch our video below to see how RAD & Gayle’s son, Rob, has been personally affected by World Concern’s mission. Learn about his trip to Chad and some of the people he has helped. To make a donation directly, visiting our fundraising page here. Questions? How are you spreading kindness for Giving Tuesday?